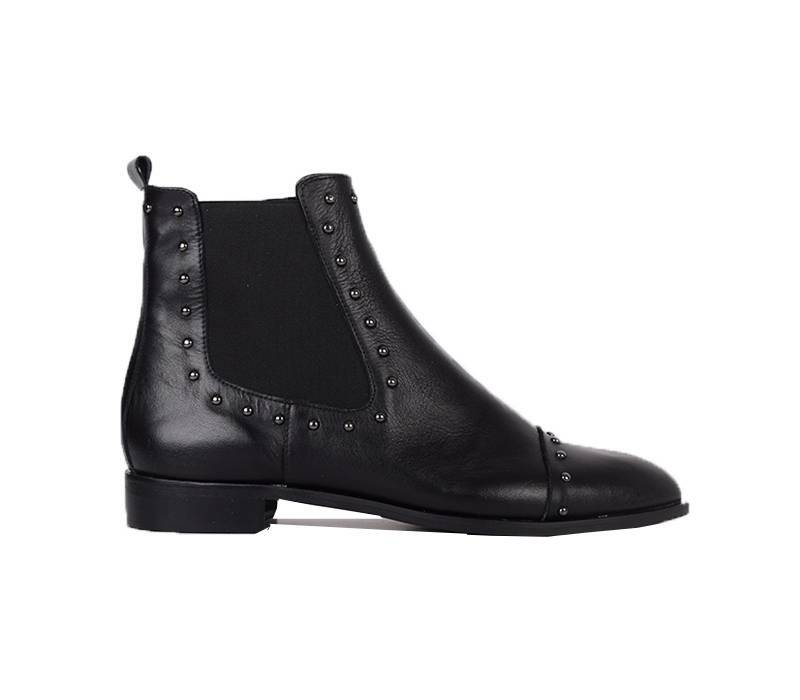 Ankleboot Charlotte is a tough structured leather boot with bucklets. 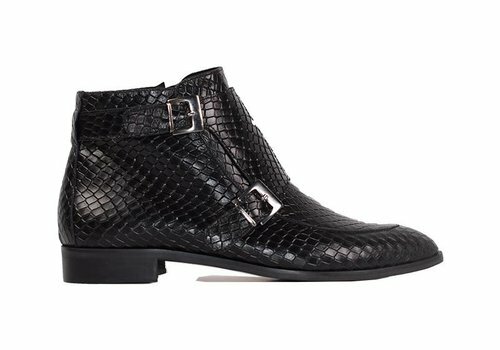 A beautiful boot that makes your look tough or elegant. 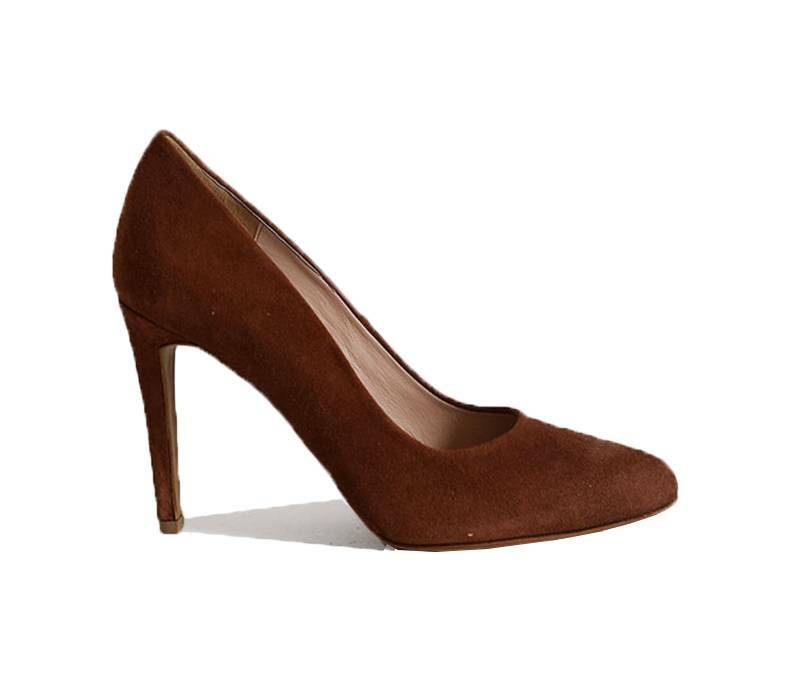 These stylish brown/cognac heels Lotte are very feminine because of the pointy nose and thin heels. 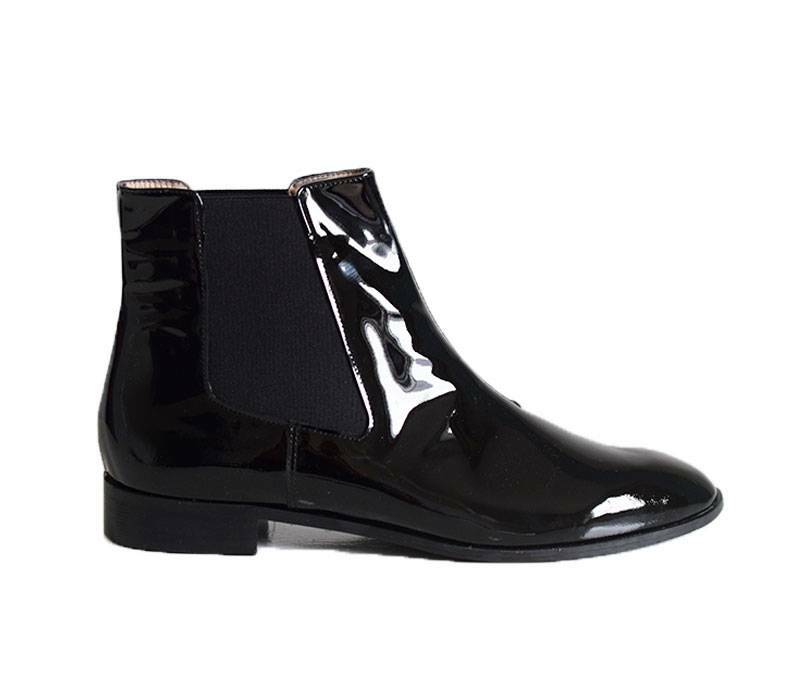 The footbed is very soft and feels comfortable. 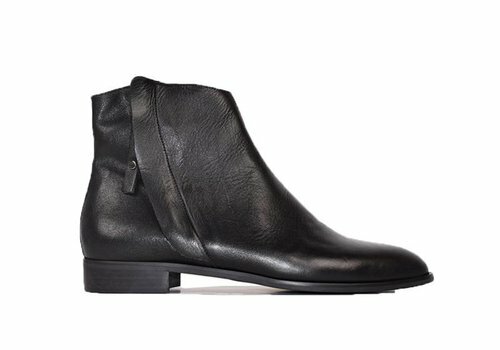 Ankleboot Bregje is a nice simple boot but because of the different leather at the back it's much different than a simpe leather boot. 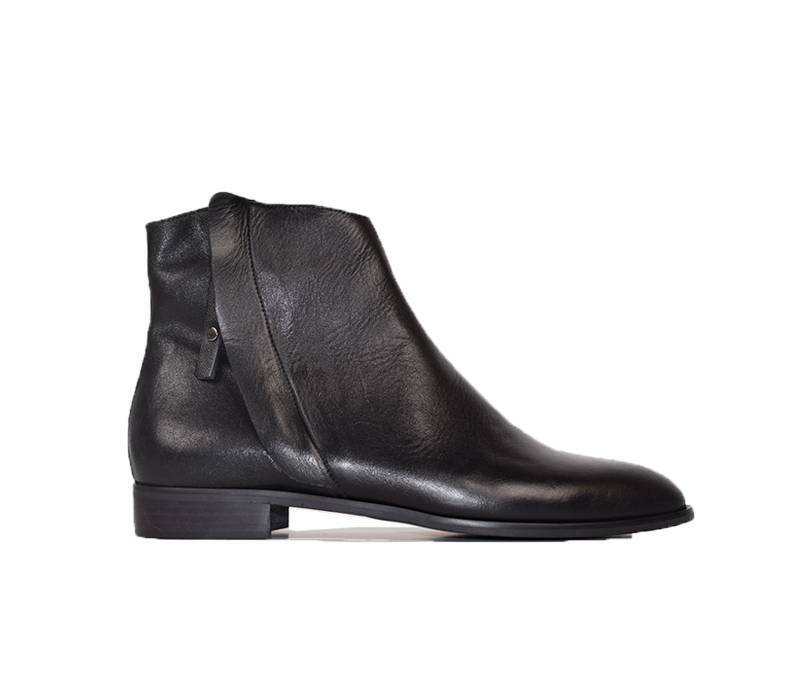 A comfortable leather boot made with a low heel . 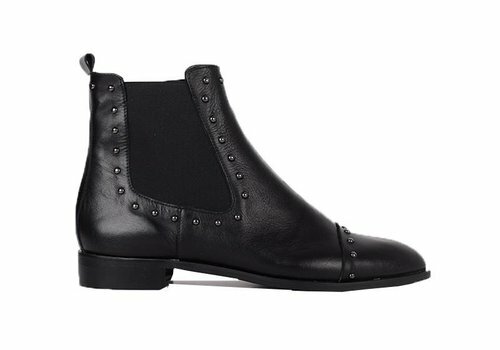 These basic black boots with studs are tough and feminine. 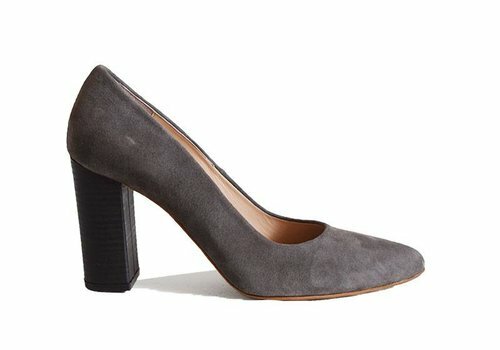 They have a nice fit with a low heel and a pointy nose. 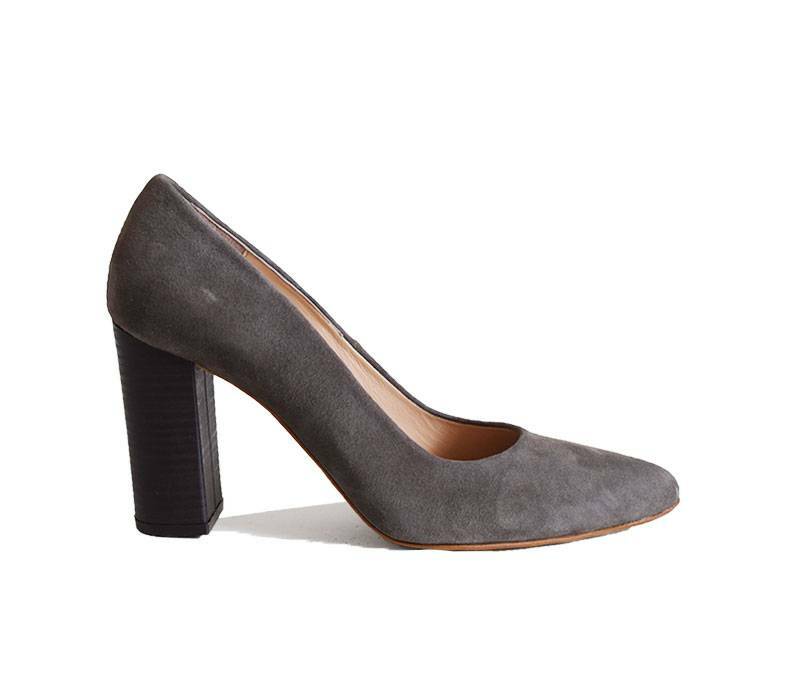 These stylish grey heels Loes are very feminine because of the pointy nose. 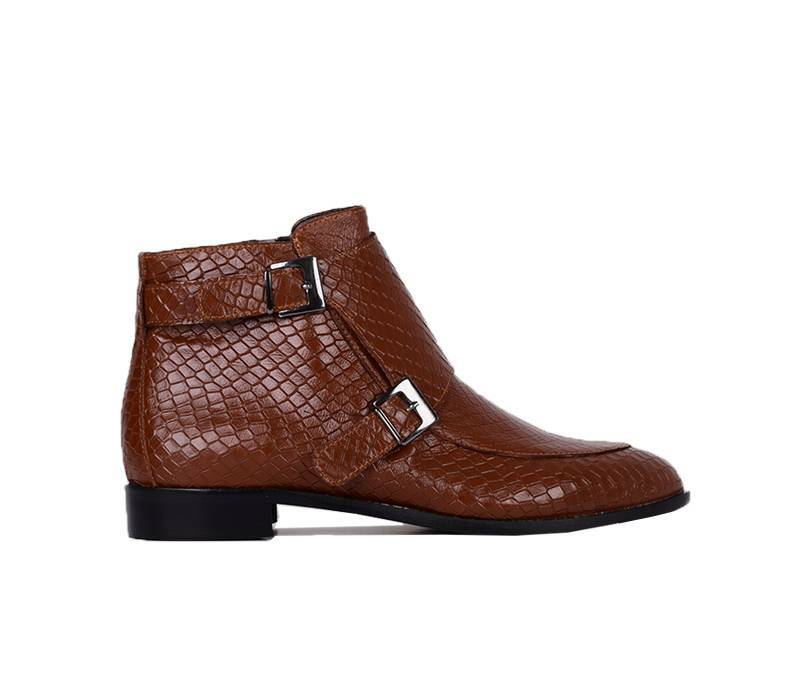 The footbed is very soft and feels comfortable. 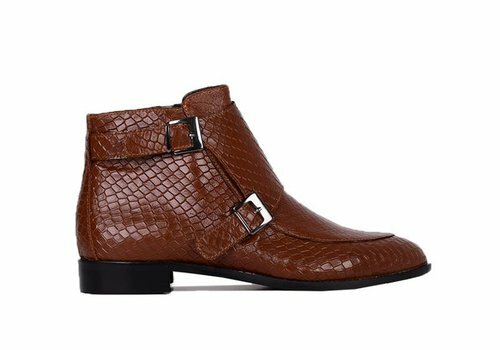 Ankleboot Lara is a nice simple boot but because of the laque leather it's much different than a simpe leather boot. 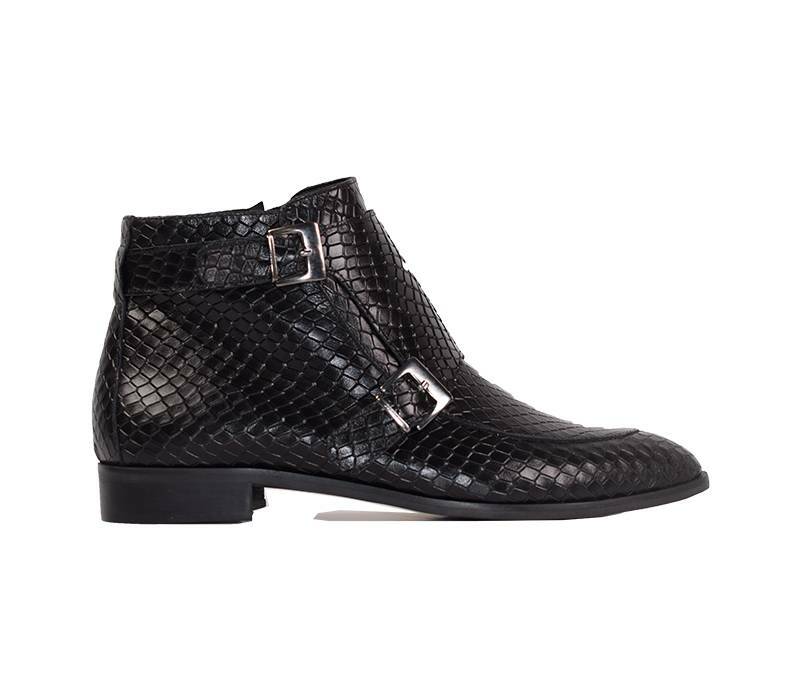 We're going to see this kind of leather a lot this season so these boots defenitely can't be missed in your wardrobe. 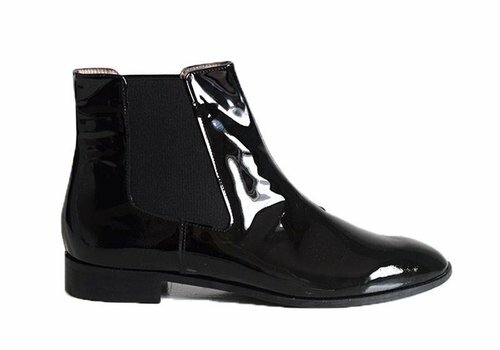 These beautiful trendy boots are a musthave this season. 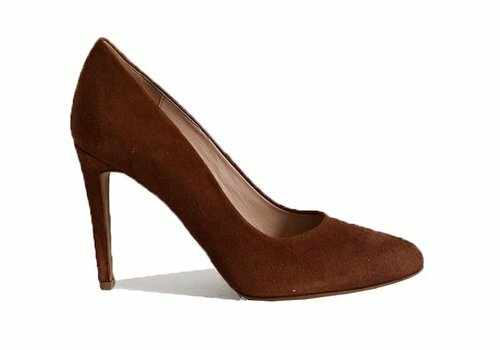 You see this kind of shoe a lot this season. They have a perfect fit and feel very comfortable.